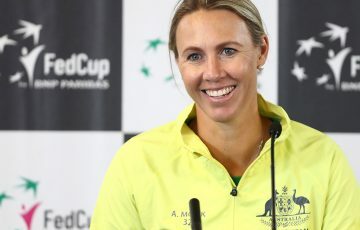 Wildcard Sam Stosur joins 16th seed Ash Barty and world No.33 Daria Gavrilova in the main draw at the Wuhan Open, one of the biggest stops on the WTA Tour. 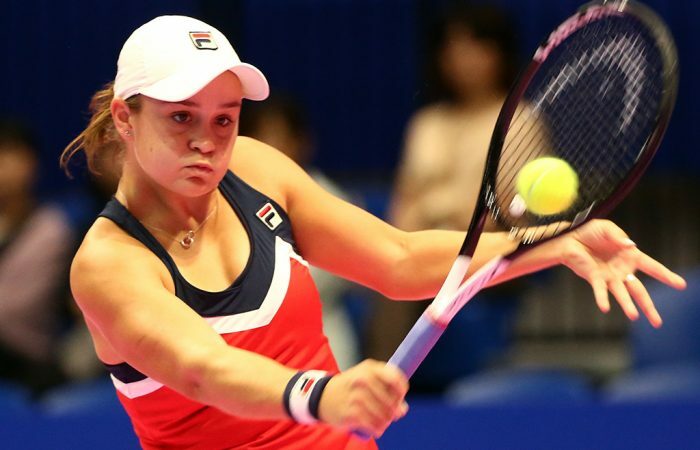 Ash Barty returns to the scene of one of her career-best results at the upcoming WTA Wuhan Open in China. Barty last year reached the final of the Premier 5-level event, which in 2018 boasts prize money of $2.75 million and 900 ranking points for the champion. The 16th seed this year, Barty opens her account against former world No.4 Johanna Konta, a player she beat en route to the final 12 months ago. Barty is projected to meet No.3 seed Angelique Kerber in the last 16. There are similarly-tough draws for Daria Gavrilova and Sam Stosur. 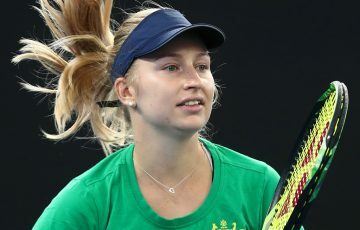 Gavrilova faces 10th seed Jelena Ostapenko while Stosur takes on frequent doubles partner Zhang Shuai for a shot at No.7 seed Naomi Osaka in the second round. Lizette Cabrera narrowly missed qualifying for the main draw, falling 7-6(2) 7-6(3) to Wang Yafan in the final round of qualifying on Saturday. In doubles, Barty will team with CoCo Vandeweghe – the pair receive a first-round bye as the No.3 seeds – while Gavrilova is partnering Zheng Saisai. Another Aussie, Anastasia Rodionova, lines up alongside Ukraine’s Nadiia Kichenok. 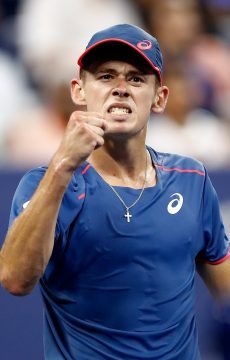 Several of Australia’s men have also headed to China for ATP 250 hard court events. Matt Ebden is the No.6 seed at the Chengdu Open, where he will face Evgeny Donskoy of Russia in his opening match. 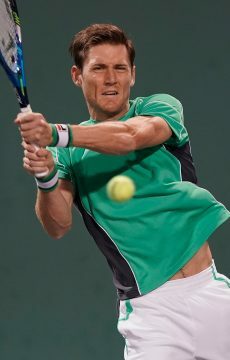 Should the seedings hold, he’ll face top seed Fabio Fognini in the quarterfinals. Ebden is also playing in the doubles draw, forming a duo with Germany’s Mischa Zverev. Bernard Tomic is one win from joining Ebden in the singles main draw after stopping Japan’s Renta Tokuda 6-3 6-4 in the first round of qualifying on Saturday. 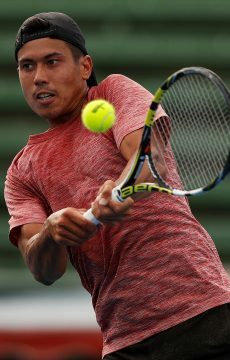 Qualifying top seed Jason Kubler, however, fell in three sets to Hiroki Moriya – also of Japan – in his first match. At the Shenzhen Open further south, Alex De Minuar is the No.7 seed and has drawn Yuichi Sugita as his first-round opponent. 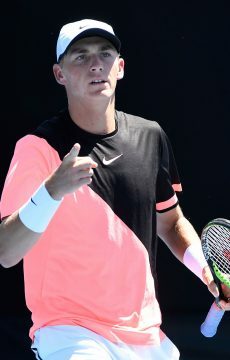 The young Aussie is in the bottom half of the draw with fellow Next Gen star Stefanos Tsitsipas, the second seed who could meet De Minaur in the semifinals. 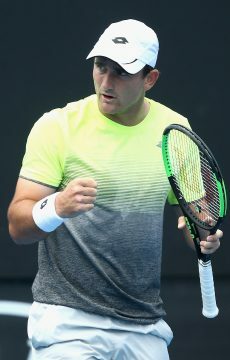 Bradley Mousley on Saturday progressed to the final round of Shenzhen qualifying with a 7-6(2) 6-3 win over local Sun Fajing, while Max Purcell lost his first-round qualifying match to Ramkumar Ramanathan of India. Mousley is partnering De Minaur in the doubles event.